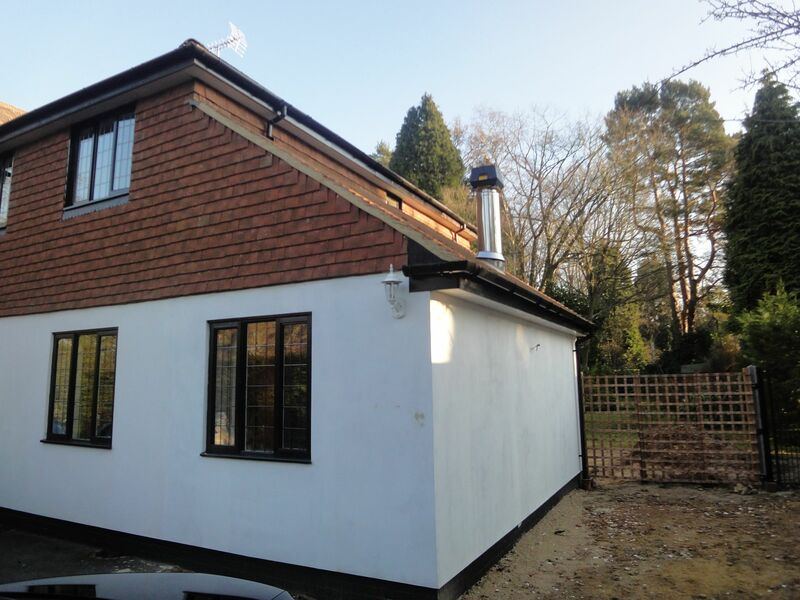 In the sunny September of 2016, we were called to a client’s property to replace a stainless steel liner that was fitted by another company a few years before. Before arriving at the property, we were told the stove was emitting an unpleasant smell and the customer’s chimney sweep had informed them that the liner needed replacing. We removed the rain cap from the top of the chimney and very quickly discovered the reasons for the troublesome stove. 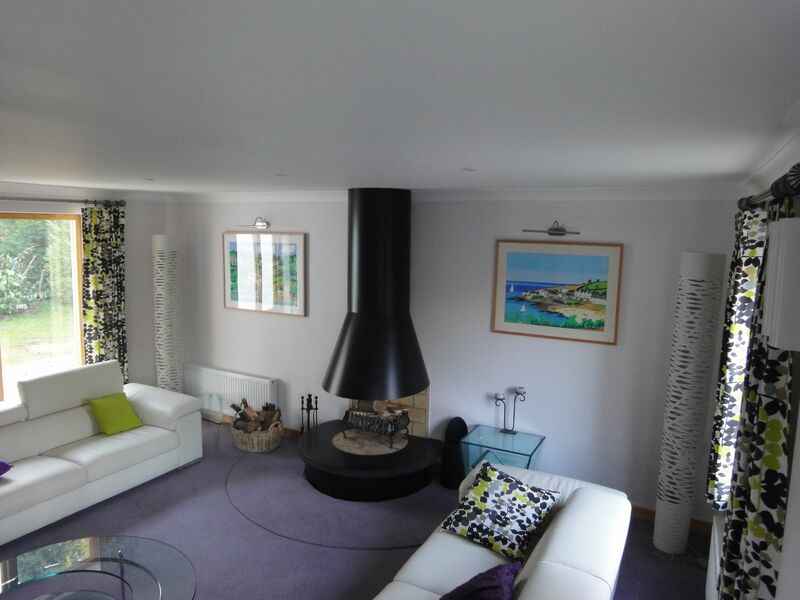 As a little background: the chimney is the flue way and its job is to remove products of combustion from the house and into atmosphere as quickly and efficiently as possible. It does this by using the simple physics of heat rising: the hotter the fire, the hotter the air and the faster it travels in an upward direction. So, standing at the top of this beautiful house having just removed the rain guard, we gazed down the chimney into what should have been a shiny 150mm diameter stainless steel liner. Unfortunately our investigation revealed a gruesome reminder of why it is so important to make sure you are burning dry wood and that your stove is running as hot as possible by maximising combustion. Over time a significant amount of tar had built up, clinging to the inside of the liner, reducing the diameter more and more each time the stove was used. The problem is at its worst at the top, the coldest part of the flue, where the hot gasses have cooled the most. In this case, the last 6 to 8 feet of the liner had a space of about two 50p pieces. Considering the liner should have been 150mm (6 inches) in diameter we were surprised there hadn’t already been serious health issues. Discovering the existing liner was beyond repair, it was time to remove it from within the 250 year old brick-built chimney. 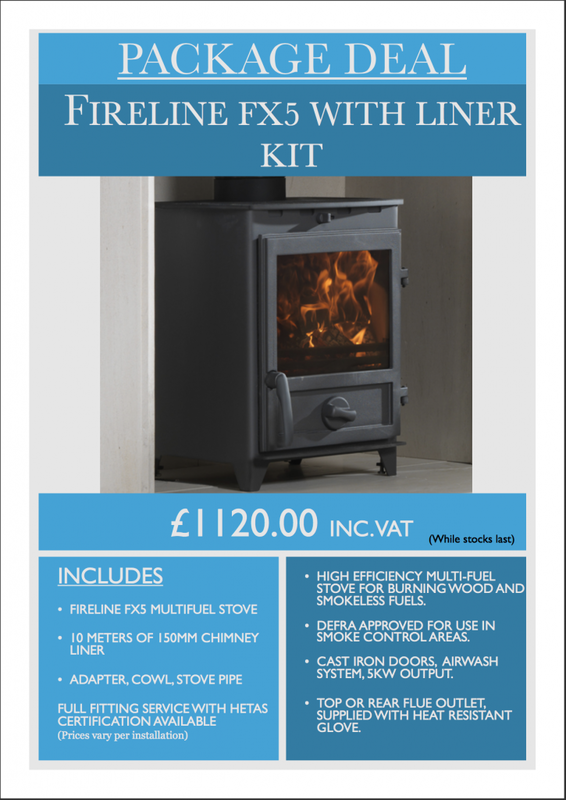 Flexible liners are made of stainless steel and vary in length depending on the chimney they are lining. While they’re not light weight, they’re not too heavy either. But as we removed this liner, the extent of the damage began to show simply in just how heavy it was. 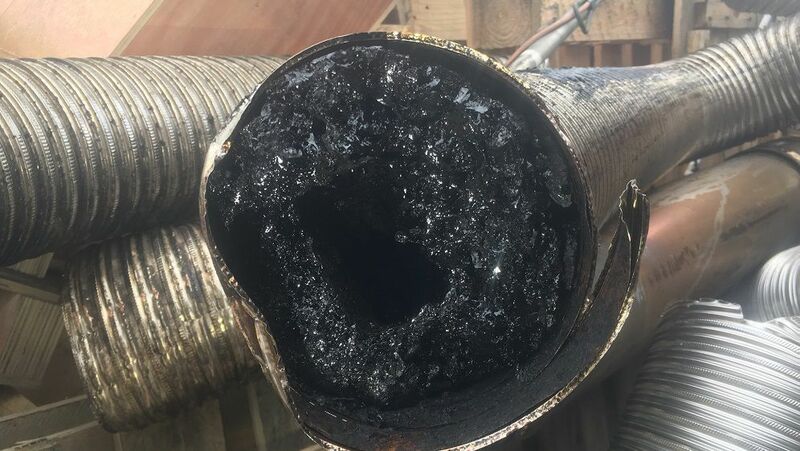 The sheer amount of combustible material that filled the liner was so bad that in places that it began to crumble and fall out the bottom in coal-like chunks. 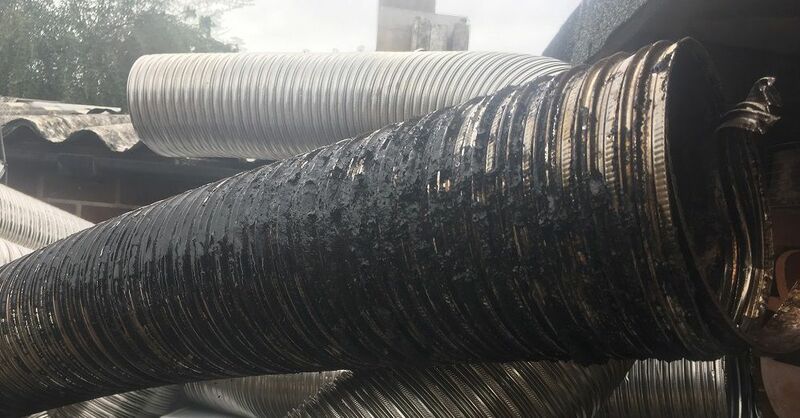 This wasn’t even the full extent of the damage as the outside of the liner was slick with sticky tar and the bonfire-like smell spread everywhere. 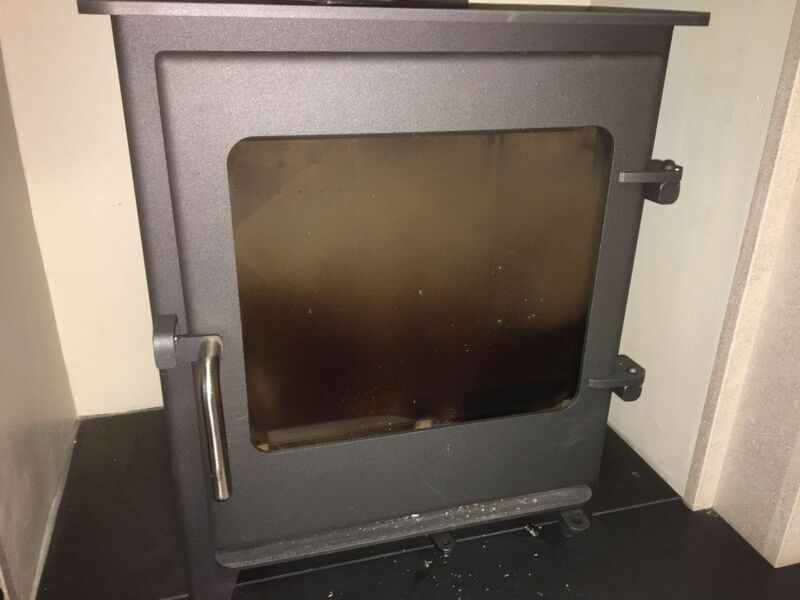 It was a close call with a liner in this state as the damage was so widespread that using the stove could not only have exacerbated all of the prominent issues but it could also have been lethal. 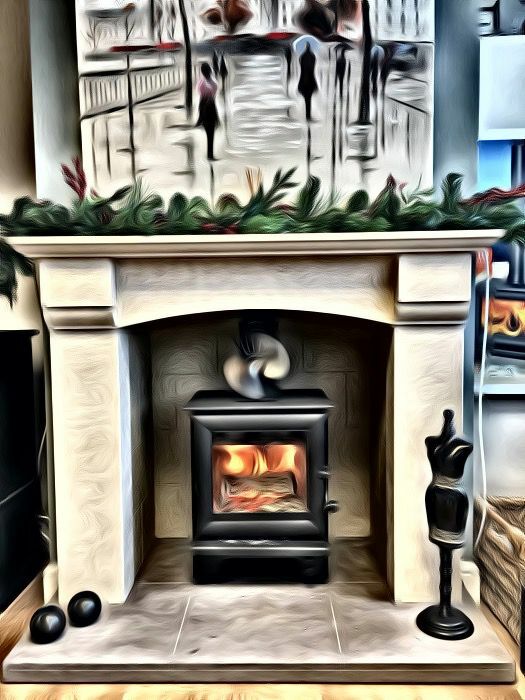 It is the flue’s job is to remove gases from combustion safely out of the room, however, if these gases can’t escape through the flue due to tar build up these gases can only escape into the room. This can lead to real health risks like carbon monoxide poisoning that can be lethal. Making sure the fuel you’re burning is dry and that the stove is combusting as efficiently as possible can all help to avoid build up like this. So give a wood burning stove the care and attention it deserves and help prevent combustible build up like this. 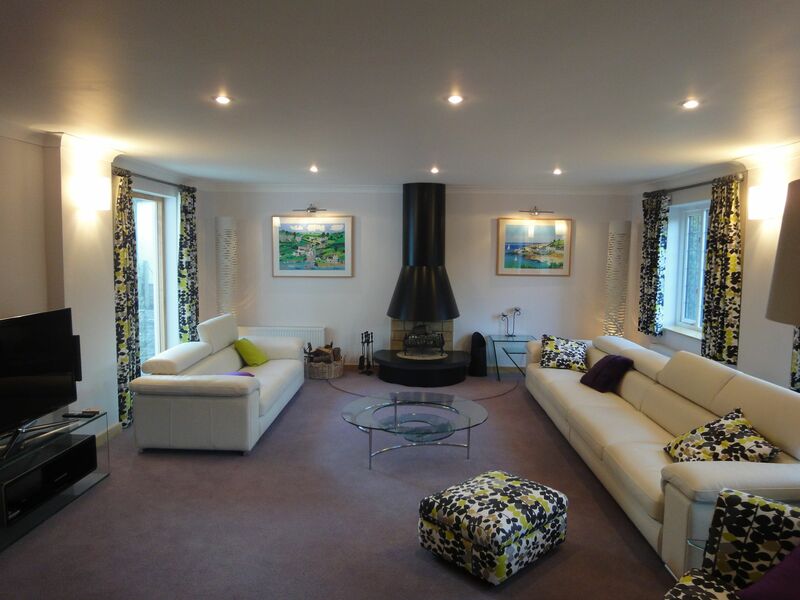 A developer took great pleasure in designing his own house. 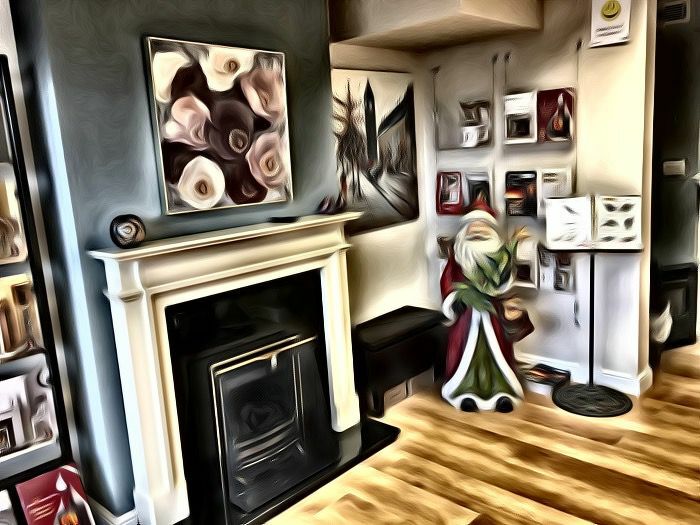 He had an eye for detail and when he was nearing completion, he wanted to install a fireplace, but not just any fireplace. 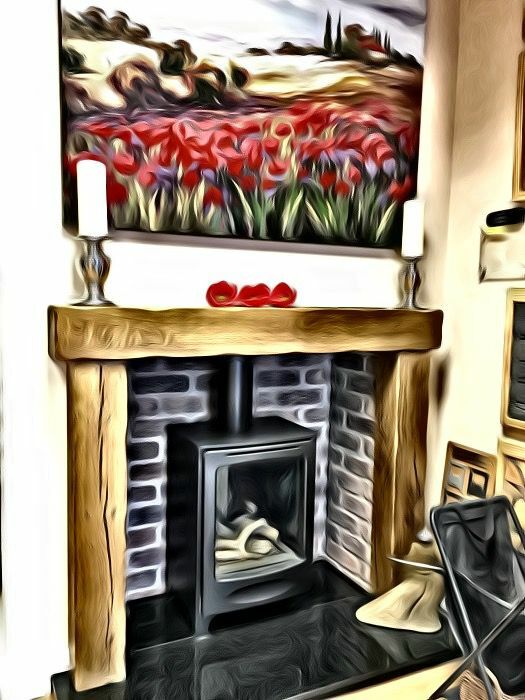 To suit this exquisite and personally designed house, the fireplace also needed to have that perfect personal touch and he certainly had a very specific idea of what the fireplace should look like. And part of that design demanded a short flue. Most of us have smartphones these days and there are plenty of apps to download, some are good fun, others only stay on the phone for a short period of time before being deleted. 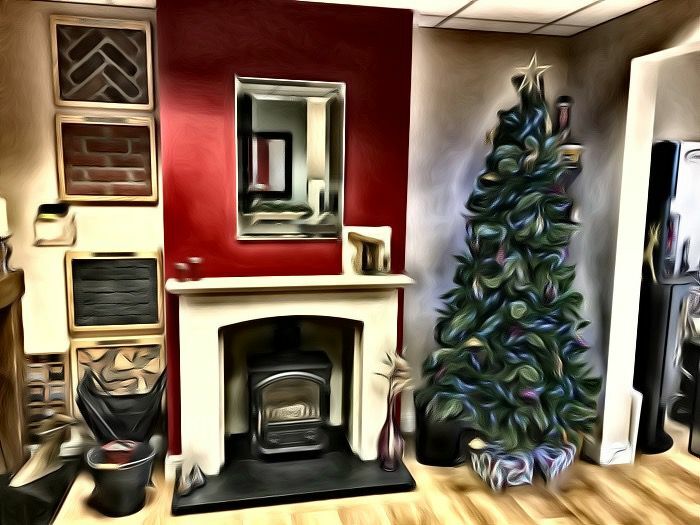 Using a photo app I found over the Christmas break, we took some random photos of the showroom. We liked them, so we thought we would share them. 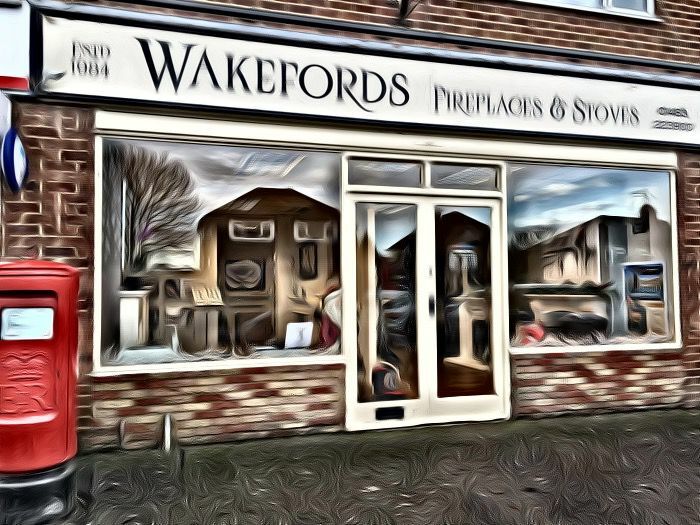 Opening this week after having a relaxing Christmas break it’s great to get back, it’s been a busy start of the week. We guess it’s because of this gloomy weather we’re still getting at the moment. 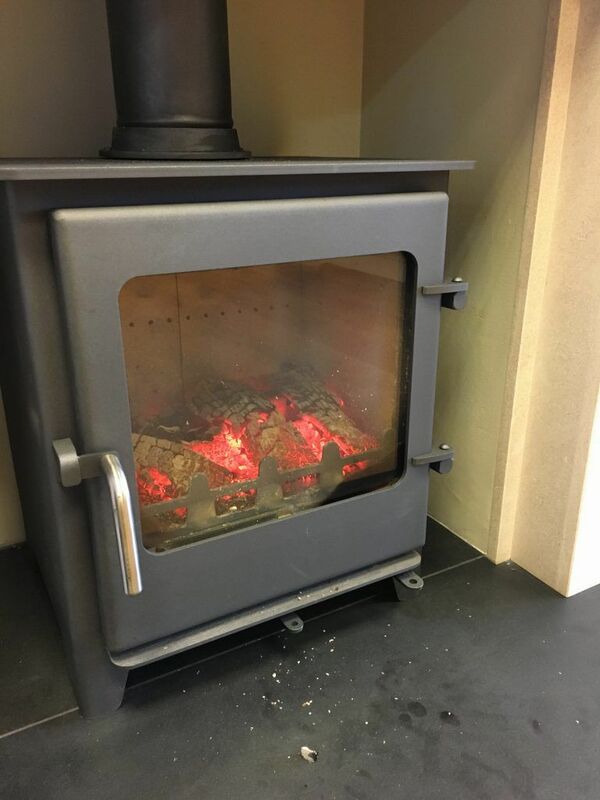 If you’re still thinking about getting your fireplace changed, or you want to receive the high heat output and impressive efficiency figures of a wood burning stove, now’s the time to make contact with us.